In general the will should be signed by the person making the will in front of two independent witnesses and then they should sign, in the presence of the person making the will. If any of these did not occur it may be invalid. The person making the will (“the testator”) should have sufficient capacity to do so – they should understand the extent of their estate (their money and assets) and to whom they should consider leaving it by their will. If he or she does not have capacity when the will is made then it may be invalid. The person making the will should know and approve it’s contents. If he or she does not it may be invalid. Finally, there should be no question of undue influence on the person making the will. If there is it may be invalid. You can’t dispute a will until after death. You must bear in mind the effect of successfully proving the will to be invalid. If there was an earlier valid will, the estate will pass in accordance with that. If not, it will pass in accordance with the rules of so called “intestacy” which apply to every estate where there is no will or no valid will – in general terms to the nearest living relatives. If you have a claim, you must prevent the estate being distributed whilst it is being considered. To do so you should register a “Caveat” to stop the grant of probate (if probate is granted the estate can be distributed) and at the earliest possible opportunity. It is easy to do this. You contact Leeds District Probate Registry with the full name and date of death of the deceased and ask them to enter a caveat. There is a small fee payable (they will provide details) – cheques should be made payable to HMCTS and the fee is currently £20. 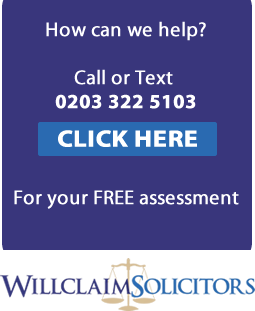 If a caveat is entered, you should immediately seek our assistance or the assistance of an alternative solicitor with experience in contesting a will to protect your interests. This is a helpful “tale” to relay given in this instance our client was not contesting the will but was defending the will claim from a near relative. The claim outcome bears consideration in relation to costs. The will was made at a time when the testator had established dementia. She was also under a “Court of Protection” order which meant that her affairs were handled by a court appointed party. She had been assessed as incapable of managing her affairs by a Psychiatrist. Nevertheless, some 7 or 8 years before she died a Solicitor attended her at her home and obtained instructions on a will which she subsequently signed and he and a colleague witnessed. Our client was the ultimate beneficiary. There was no evidence that she instigated the will and in any event she relied on the Solicitor’s expertise. The subsequent will claim by the disappointed beneficiary alleged that the testator lacked sufficient mental capacity to make the will at the time it was made. A claim was brought by her to contest the will. Given the circumstances this was a will contest which was difficult to defend! Costs were initially sought from our client but as we have mentioned, there was no evidence that she actually instigated the will and in any event, she relied on an experienced Solicitor who took instructions from the testator and prepared the will. A favourable percentage was negotiated for our client which was somewhat less than the 50% that was initially sought. It was agreed (with some reluctance) by the other party that all costs associated with the dispute should be borne by the estate. However, it was also agreed that we should attempt to recover the will claim costs from the Solicitors who prepared the will. There is considerable precedent for this since a Solicitor should or ought to be aware that in circumstances where a testator is old or infirm, steps must be taken to ensure the testator has capacity by the instruction of his or her GP or perhaps a Psychiatrist (referred to as the “golden rule”). Absent that, they are at risk of paying the subsequent will contest costs. This proved to be the case here – their insurers paid both parties costs within 2 to 4 weeks of notification. This scenario must be borne in mind in every case where one is contesting a will (or indeed defending it as here). Where a Solicitor who prepared the will has not followed the golden rule, they are at risk on costs, which can assist in disposing of the will claim where costs have become a difficult issue.